I found some great rugs in a Blue Willow pattern made by Dream Decor Rugs of Miami. 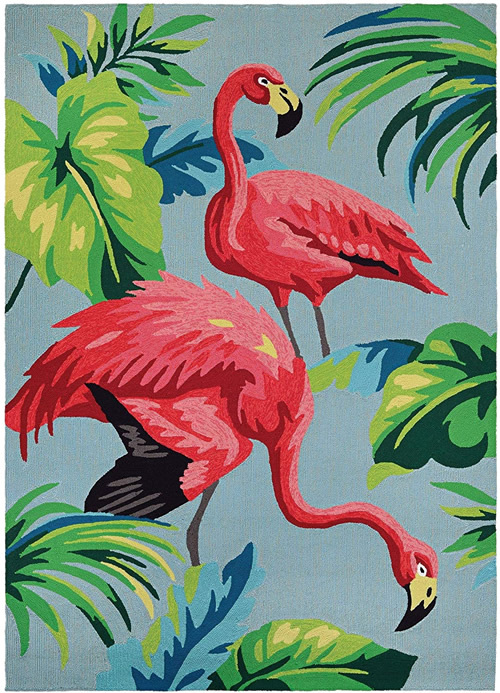 They make the same rugs in a retro ‘50s Flamingos print. 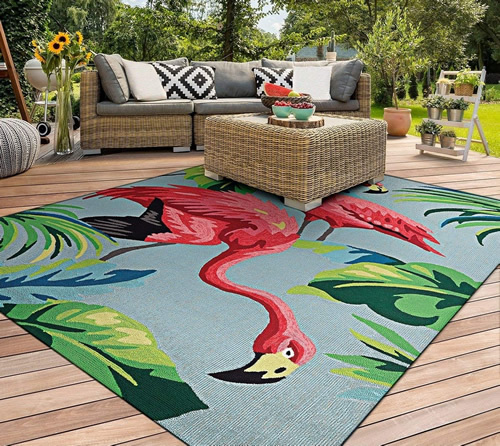 The rugs are hand hooked and the quality is excellent. They are made of Courtron Polypropylene, for use on a covered porch. 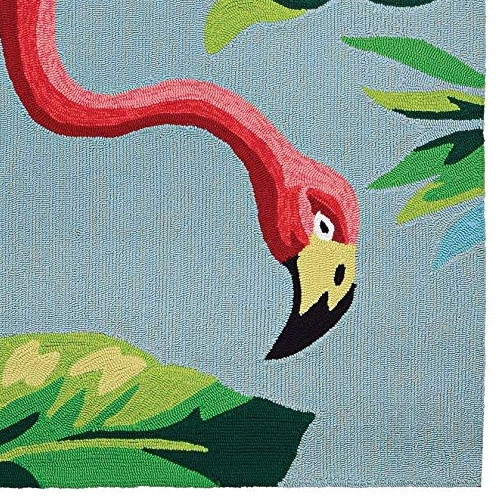 Dream Decor Rugs of Miami makes their rugs in a variety of sizes and shapes. And you know how Amazon knows what you are looking for… They recommended these lamps. They are Majolica in a perfect Tropical pattern. The shades aren’t included. You pick whatever shades you want. It is only the one lamp. The two views show the front and back of the lamp. 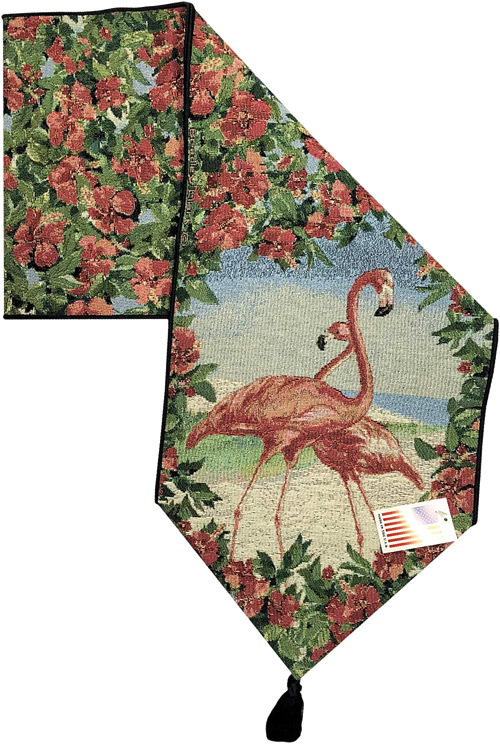 And this Table Runner looks like something from the ‘50s, too. So that’s the post. 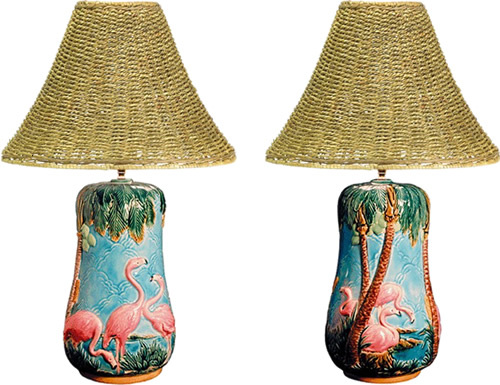 Some fun kitschy flamingoes that look like they are vintage, but are actually new on Amazon. This entry was posted on April 5, 2019, in Beach House, Mid-Century Modern, Porch Living, Table Lamps. Bookmark the permalink.